Teams tend to re-sign their top players, keeping them off the market and on their rosters. 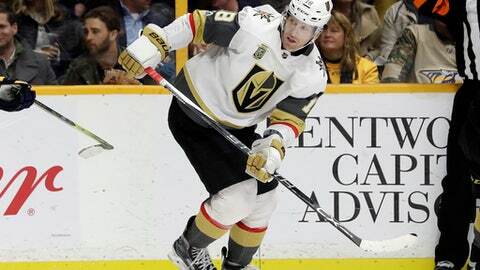 That leaves a slew of solid veterans and journeymen available to the highest bidders trying to find a forward to play on a second or third line, a defenseman to be in a second pairing or perhaps a backup goaltender. Tavares, though, may want to take his two-way talents elsewhere because he has made it to the playoffs just three times in his nine-year career, advancing only once. If the five-time All-Star chooses to leave, he has plenty of choices. Toronto, Boston, San Jose, Dallas and Tampa Bay are believed to be among his options. Tavares can command a seven-year contract for perhaps more than $70 million from any of the teams trying to lure him away from the Islanders. With Washington keeping John Carlson off the market, the 32-year-old Green may be the best defenseman available. Green had a neck injury last season in Detroit and that may concern some teams.